ÅF is to oversee procurement as part of an EBRD project – Montenegro Local Roads: Procurement Support for Civil Works Contracts. 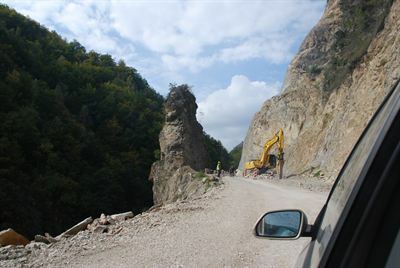 ÅF is to oversee procurement as part of an EBRD project – Montenegro Local Roads: Procurement Support for Civil Works Contracts. The contract was signed by the Minister of Transport and Maritime Affairs of Montenegro on 6 October 2014 and Jiri Landa represented the consortium of ÅF, ASPIRO and E3 Consulting. The bank has agreed to make funds available for the project and will contribute a grant of EUR 333 500 to help cover the services provided by the EBRD (Czech Republic TC Fund). ÅF and its consortium will provide procurement support for civil works contracts financed by two EBRD loans, which the government of Montenegro is planning to use to reconstruct the local road network. One of the loans will be used for the reconstruction of a section of the Berane-Kolasin road in the northern part of Montenegro between Lubnice and Jelovica, with a total length of approximately 10 kilometres. The second loan will be used to finance the construction of a section of road between Jelovica and Jezerine, with a total length of approximately four kilometres, including a 2.5 kilometre-long road tunnel.